Dumplings are one of the most popular dishes amongst Chinese, Taiwanese and Western people. There are many different kinds. In this class, we will make dumplings based on yeast dough, as yeast dough is similar to the bread dough used in Western culture. We will make two kinds of these dumplings. Once you learn how to make and cook them, it's very easy for you to modify the filling to use your own favorite ingredients and flavors. 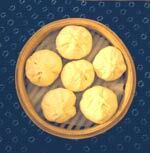 Asian people use bamboo steamers to cook dumplings, and Western people use an oven to cook bread. There's actually a lot of similarity between the dough used for both of these, so these kinds of dumplings are very easy for Western people to learn. You can choose to use your own preferred ingredients and season them with some basic Chinese flavors. 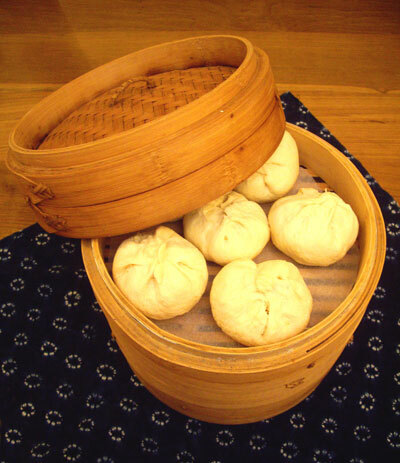 Instead of cooking the bread in the oven, you cook the dumplings in the bamboo steamer, but they will be as easy to make as bread. Apart from cooking the buns in the bamboo steamer, pan frying them in a wok is also a very fast way of making them. This way, it's possible to serve more than 10 to 20 people at one time. 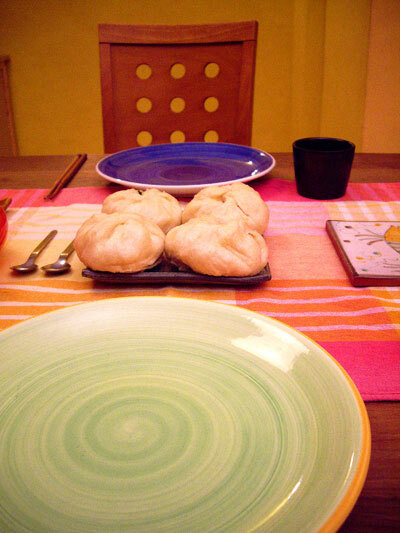 Using similar techniques, steamed sweet buns are a very popular dessert. We will be using the same kind of yeast dough to make sweet buns. It's a very common food with a cup of Oolong tea in the afternoon, for local people. Cost: Our price for this standard one day (about 4 hours) class is NT$4,000 for one student (about US$130 or 95 Euros), NT$7,000 for two students, NT$9,000 for three students, and NT$11,000 for four students. Sorry, but we do not offer discounts for these classes. Normal class size: 1 - 4 students (larger classes may be possible). These are private classes for you and your friends/family/colleagues only. Time: Classes usually start at 10am or 2pm and last about four hours. We will try to arrange the classes to fit your schedule. Note: These details apply to the standard classes which you can see on this page. Some custom designed classes or classes with more expensive ingredients may cost more or last longer.